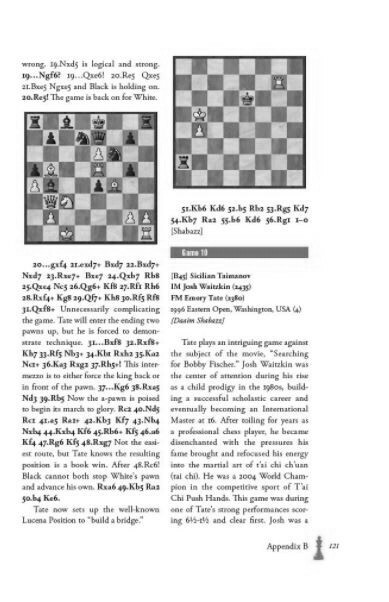 In the annals of attacking chess players, International Master Emory Tate built up a collection of stunning gems. Tate also showed his passion in describing these exciting battles as if performing in a stage play. 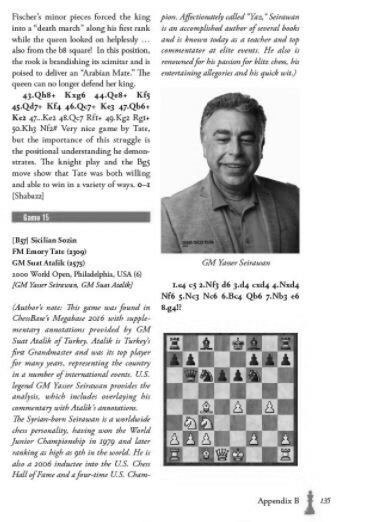 With his clear, accelerated speaking style, melodramatic portrayals, quick wit and creative word play, he intrigued audiences and showed unequivocally that chess is not merely a game to be played, but an art form to be expressed. 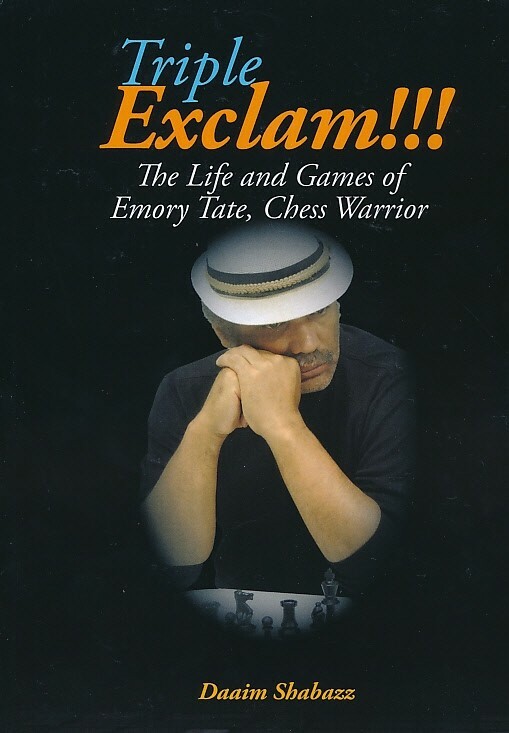 This book details the life and 35 games of Tate over the course of his 56 years. 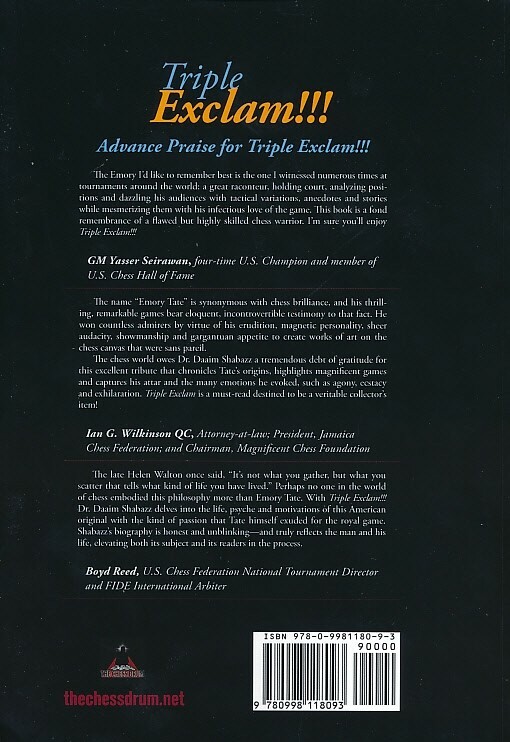 His contribution to chess lies not merely in his level of play, nor even his sparkling victories, but in his creation of unique ideas and inspiring dreams. Somewhere on that chessboard was beauty to behold, a new story to be told and perhaps an idea that would touch the soul. Tate regaled his listeners with numerous stories, many of which reflected an adventurous, purposeful, yet troubled life. This is a story of beautiful games, hidden treasures, mind-boggling conflicts and unanswered questions. This edition of the book comes with Black and White internal pages and is dicounted $3 from the colored version.